Long story short. My base van here was a cargo hauler window van. It had a cage and long tracks for tying down cargo. 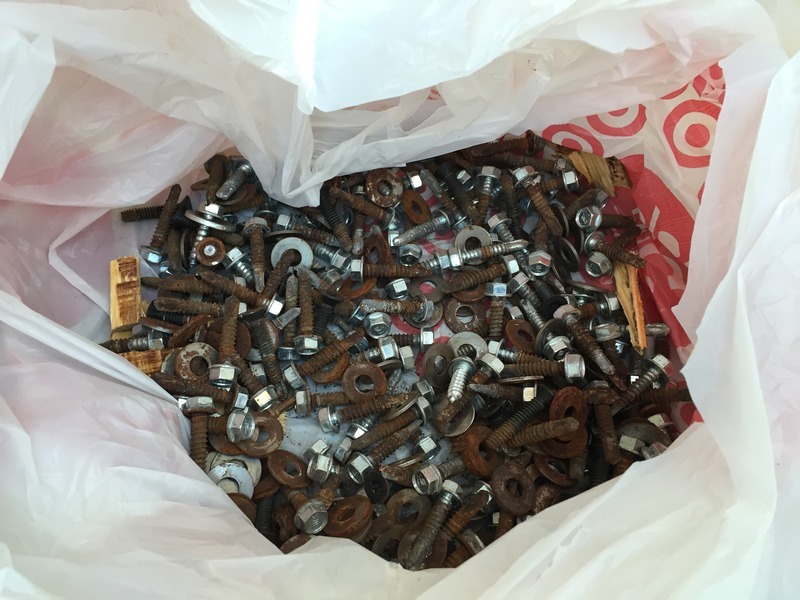 These items were screwed to the floor using self drillers. 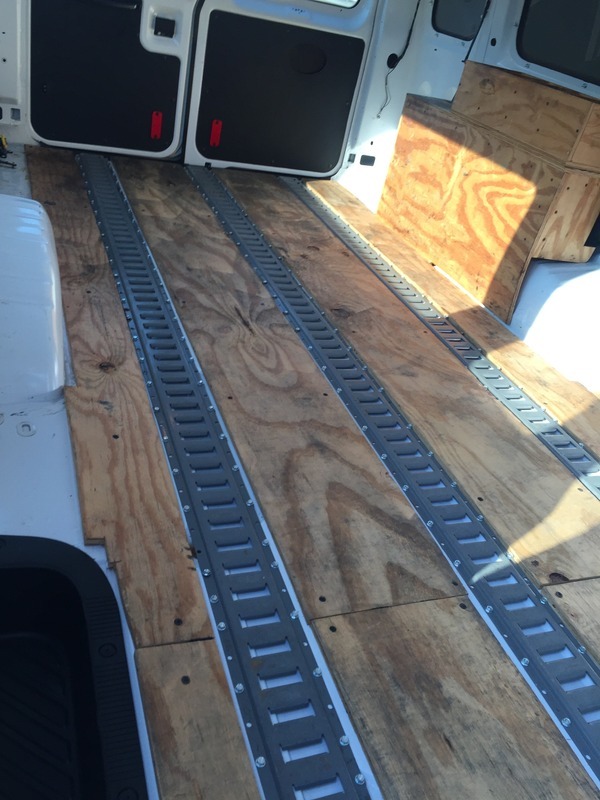 I have about 170 1/4" holes in the floor of the van and I gotta plug em or the floor will rot away. Welding? Probably best as it would restore structural integrity. There are areas over the tank I simply cannot weld unless I drop it out. Which I might. Seam sealer?? It's an option and maybe for some hard to get to holes where I can't get a backer up to it for proper welding. I could Smooth the stuff over the holes and shape to the floor, then go underneath and spread the squeeze through to make a tight seal on both sides. No restoring any structural here. Panel Adhesive?? My buddy suggested 3M 08115, which is a body panel adhesive which supposedly is as strong as welding. I could cut some strips of sheet metal and epoxy them to the underside. Might get me some structural integrity back too and would certainly seal up the holes. I want to get after it this weekend, so I may order up the sealer and epoxy anyway. I'd weld but don't worry about a backer, just fill the hole with mig wire. As for over the gas tank, I'd be more careful. Found this little guy on Amazon. Might be 30 bucks well spend for this project. But yeah, pretty much thinking welding is the way to go. everything else is just a bandaid for the most part. For 170 holes, that would save a LOT of time. I'm pretty screwed here.....pun intended. But this has to be done right. Welding the floor is safe with gas in the tank right? Not talking about welding over the tank, which I am not sure I will do anyway, but just in general. It's OK to weld on the body with the gas tank and everything in place and gas in it. Sure, assuming your tank isn't leaking fumes everywhere! Just leave the doors open. Thanks for the help rally. Gas tank is tight, no fumes! LOL. I'll weld as many as I feel comfortable with until I get near the tank. Van is outdoors. I just welded up a hundred or so holes in my van floor. I pulled the tank and the plastic lines (and filter) as they were being replaced any way. I strongly recommend pulling the tank even if it is all steel. The plastic connections won't withstand much welding slag. Blow the lines clear and pull the filter. Ramsey hasn't had time to get ready for any more forum members. He and Jamie are too busy catching up on tech. So be careful. Took a look at the tank at lunch. Yep. Gonna have to come out I think.